ZZZZzzzz... Daddy! Daddy! Wake up now! What happened dear? You forgot to take your sleeping pills. Daddy! Daddy! Wake up now! 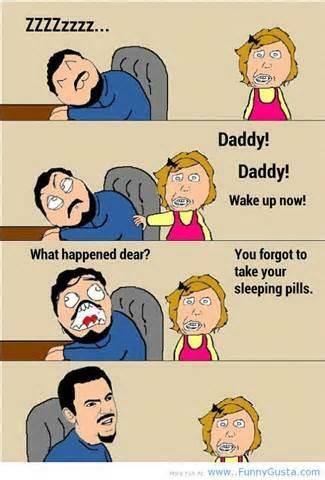 You forgot to take your sleeping pills.